From left: Marquita Chamblee, Monica Brockmeyer, Michelle Bruner, Kenya Swanson and Leonard Savala. As WSU Senior Associate Provost for Student Success Monica Brockmeyer recalls, newly arrived President M. Roy Wilson hadn’t even settled into his office chair before one of Wayne State’s most pressing concerns — ensuring equitable achievement outcomes for students of color — landed on his desk. Fortunately, thanks to Brockmeyer and many others who’d been toiling to address the issue, those concerns also came with a solid plan of action. “Way back in about 2012, Phyllis Vroom, who had served as an interim provost and deputy president and had also been the dean of our School of Social Work — she was the highest-ranking African American woman I’d ever met at the university — put together a team and charged us to make a report called the GRAD report, which stood for Greater Retention and Achievement through Diversity,” said Brockmeyer, one of several administrators who made up the Retention Advisory Committee that compiled the report. “There was me and Henry Robinson, who runs our Federal TRIO office. We had someone from the Center for Latino/a and Latin American Studies and the head of our Office of Equal Opportunity at the time. It was a small group but we made a broad suite of recommendations, including a recommendation for a chief diversity officer and an Office of Multicultural Student Engagement. We made recommendations for shoring up and sustaining existing programs across the campus, for faculty involvement and so on. At 67 pages, the report was extensive, loaded with research, analysis and wide-ranging insights into diversity problems that have vexed universities nationwide seemingly forever. Nevertheless, by the time Wilson did arrive for his first day on the job, Brockmeyer remembers, he had consumed the report from cover to cover. After many years of searching for a comprehensive strategy to close racial gaps in classroom success, retention and graduation, the university had found not only its plan but, as reflected by Wilson’s attitude, the ironclad institutional will to see it through. 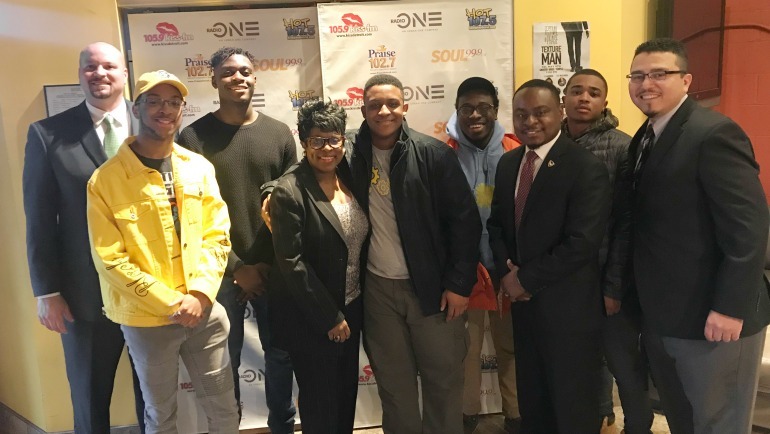 Well connected: The Network, a learning community aimed at young male students, has offered participants mentorship and support, both socially and academically. 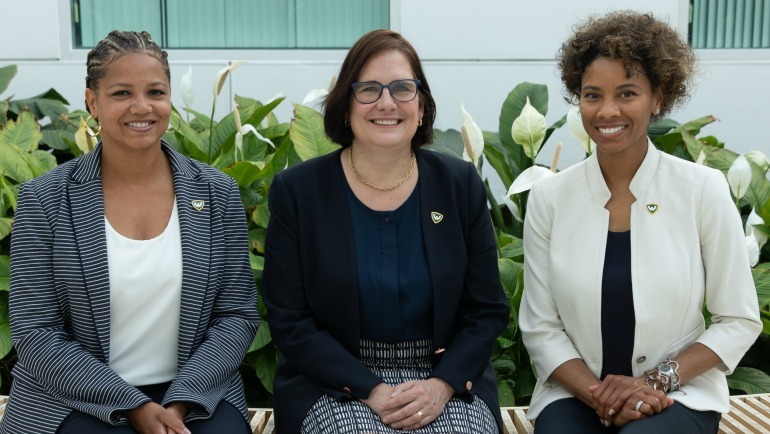 Thus, with the GRAD report as a guiding light, the president and the advisory committee set about implementing many of its recommendations — and while the effort is still in its infancy, there’s no question that the early results of Wayne State’s commitment to achieving educational equity among disadvantaged students and students of color have been equal parts impressive and inspiring. 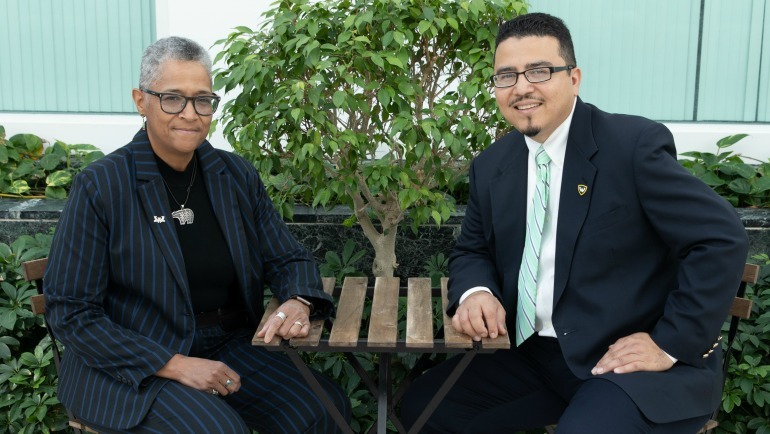 In recent years, Wayne State has hired more administrators devoted to fostering not just a multicultural student body but a campus climate conducive to that diversity. The university has developed an overarching initiative, dubbed the Warrior Vision and Impact Program — or Warrior VIP — that offers students coming to Wayne State through standard admission channels a suite of wraparound services designed to help negotiate the academic, social and financial challenges of college. The renewed focus on student achievement and belonging has spawned learning communities such as RISE and the Network, staff-led student support groups devoted to a more personalized, intimate approach to advising and mentoring students of color. (RISE is devoted to female students, the Network to male.) And in taking up these and other programs, Wilson, Brockmeyer and other key leaders — such as Provost Keith Whitfield, Associate Vice President for Enrollment Management Dawn Medley, and Marquita Chamblee, the chief diversity officer hired as part of the GRAD report recommendations — have worked to supercharge the university’s efforts to not only foster greater diversity on campus but to ensure that students of color and other traditionally underrepresented and disadvantaged students learn, thrive and graduate at the same rates as their most successful peers. In the time since, Wayne State has witnessed a series of successes — some spurred directly by this new push, some enhanced by it — that herald a notable albeit nascent boost in achievement for students of color overall and African American students in particular. For instance, the six-year graduation rate of African American students has jumped 13 percentage points to 20 percent in the last six years, a statistic that has earned national recognition. Additionally, the graduation rate for first-generation students overall — many of whom are students of color — is up 18 percent. Moreover, the graduation rate for students who receive Pell Grants — a group that also includes numerous underrepresented groups — is up 15 percent in just three years. VIP MVPs: Swanson, Brockmeyer and Bruner head up the Warrior Vision and Impact Program at the center of the renewed focus on student success. As with other initiatives, Warrior VIP evolved from scrutiny of data. As Brockmeyer and others pored over the student information they’d been gathering since the GRAD report, they began to make some critical realizations. For instance, looking over years of data from the university’s freshman College Student Inventory survey, they discovered that black students were much more receptive to accepting academic assistance than most of their peers. The same held true when it came to black students and financial and institutional assistance. Warrior VIP also has become something of the connective tissue for disparate support programs and units within the university, including initiatives like the Office of Federal TRIO and the Academic Pathways to Excellence (APEX) program. “What’s been really nice about the coalition is that each of those programs existed prior to development of VIP, so we really were able to leverage the smartest practices from each of those as we were developing the Vision and Impact Program,” said Bruner. Climate changers: Chamblee (left) works closely with Savala, director of the Office of Multicultural Student Engagement, to foster an inclusive campus atmosphere that promotes educational equity for all students. And the impact is clear. A recent study compared three groups of incoming black students with no previous college experience: those who received support from Warrior VIP specifically, those who got support from other groups in the coalition, and those who received no support group help whatsoever. The study found that Wayne State students engaged specifically with Warrior VIP — who met with advisors, peer mentors and tutors — earned an average GPA of 2.84 in their first year, compared to the average 2.3 GPA for those uninvolved with any university support program. 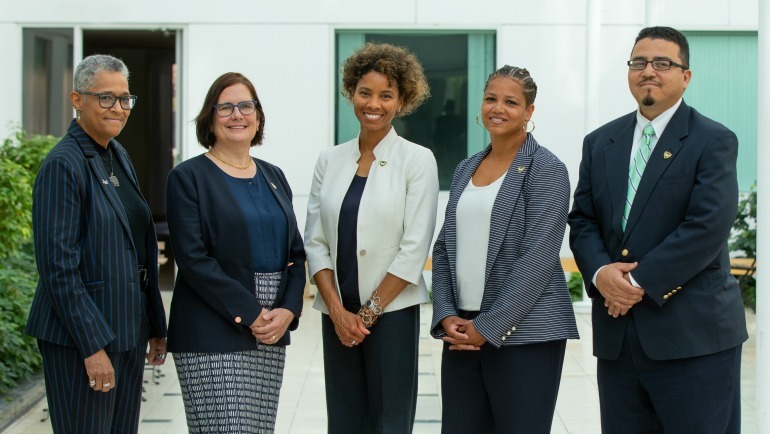 The successes have only engendered more confidence in the stepped-up effort to improve student achievement, leading university officials to envision an even more expansive role for the initiative. “I see Warrior VIP, moving forward, as huge, as way bigger than just a program,” explained Brockmeyer. “I see it as a nucleus for cultural change across the campus. My vision is that through bringing those coalition organizations together and getting them talking to each other, the organizations can have enhanced administrative visibility; enhanced support from me. When the coalitions were scattered across campus, it was really, really hard to do that. Nobody knew about each other. By bringing people together, I wanted to amplify the support that people had and connect them to other resources, make it easier to see where students where falling through the cracks and not falling through the cracks, and make a rich network of relationships so that a student comes into the campus through, say, our Michigan GEAR UP program, I don’t want those students to fall through the cracks. This story originally appeared in Warriors magazine.